Valencia’s clash with Atletico Madrid is the headline fixture as Spain’s Primera Liga resumes Saturday. Six-time champions Valencia were surprise early contenders last season before a late meltdown saw them finish fourth behind eventual champions Barcelona, runners ups Atletico and Real Madrid. These two sides have for so long lived in the shadow of record winners Real and Barcelona, who together have won 58 of the 89 titles since Liga Santander’s inception in 1929. The last two of Valencia’s titles came in 2002 and 2004 under Rafa Benitez’s tutelage whereas Diego Simeone’s ten-time winners Atletico Madrid were champions as recently as 2014. Atletico Madrid laid down a marker for the new season by upending Real 4-2 after extra time in Wednesday’s European Super Cup. The form of back to fit striker Diego Costa is a source of comfort to the Stadio Metropolitano faithful, as he formed a lethal partnership with France’s World Cup winner Antoine Griezman. Ernest Valderde’s defending champions Barcelona warmed up for their title defense by defeating Seville 2-1 in Tangier, Morocco to lift the Spanish Super Cup. Any of their four summer recruits – Arthur, Malcolm, Arturo Vidal and Clement Langlet could make a debut in the opening home rubber at home to Alaves. 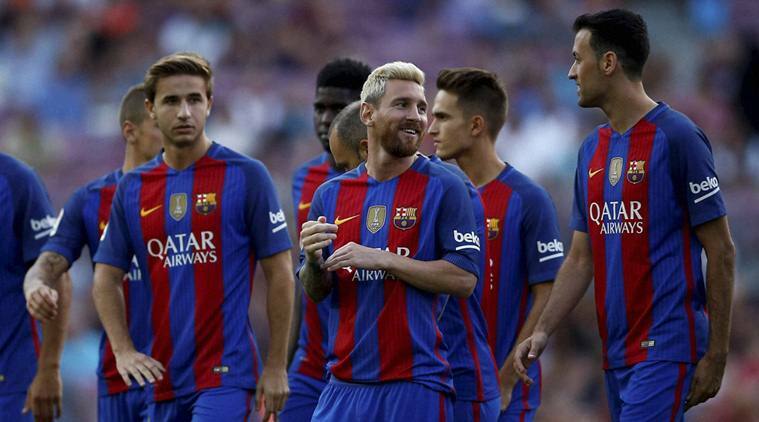 The Lionel Messi led Catalans start the season as strong favourites to win their ninth title in thirteen years. Meanwhile, following the summer departures of manager Zinedine Zidane and record goal scorer Cristiano Ronaldo, 33-time champions Real Madrid usher in a new era optimistic of ending the Catalans’ recent dominance. After missing out on Wednesday’s action new signings Thibaut Courtois and Vinicius Junior could make their Liga Santander bows under new boss Julen Lopetegui. Elsewhere, Spain’s fourth most successful side, Athletic Bilbao, are at home to Leganes. The Basque side are cash rich, having sold home grown duo Kepa Arrizabalaga and Aymeric Laporte for a combined £128m but chances are slim they will add to their nine Liga triumphs. 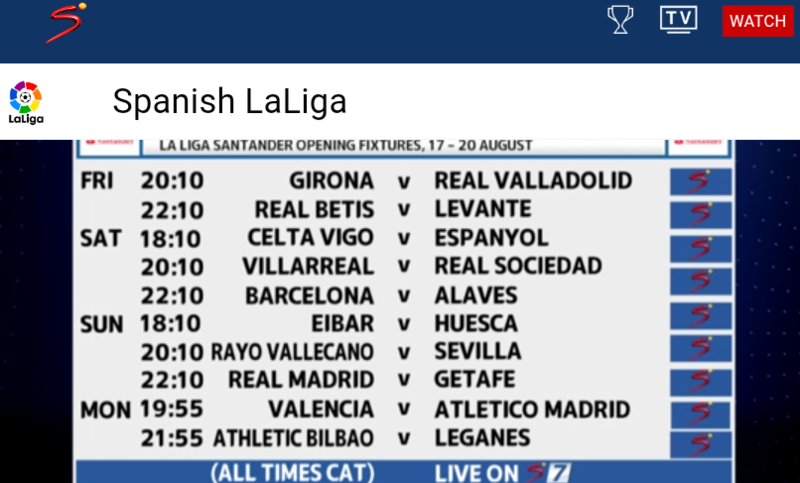 Newcomers Rayo Vallecano, Real Valladolid and Huesca battle Seville, Girona and Eibar respectively.